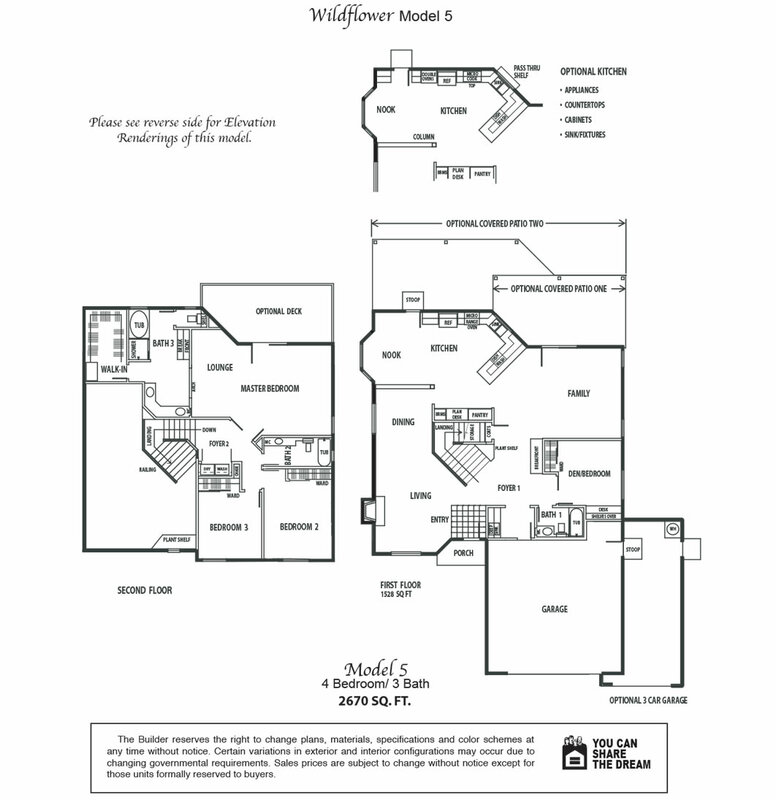 Plan #5 is 2,670 square foot two story home with four bedrooms and three bathrooms. It features a formal dining and living room complete with a fireplace. The open kitchen includes a large breakfast nook and spacious pantry. There is a bedroom/optional den off the family room with a full bathroom. The deluxe master suite with an optional deck includes a lounge area, large walk-in closet, and extravagant master bath with dual vanities, oversized tub, and separate shower.